niolabs, a pioneer of distributed computing software to serve the explosive Internet of Things market, announced today a relationship with Google Cloud Platform, a fully-managed service that allows companies to scale their digital enterprise solutions securely. The niolabs team has proven the value of their technology within several industries and plans to publicly launch their platform hosted on Google Cloud in early 2018. The collaboration between the two companies will allow customers to quickly begin transforming their business from cloud to edge on the nio platform without having to worry about the numerous challenges associated with scaling IoT applications. 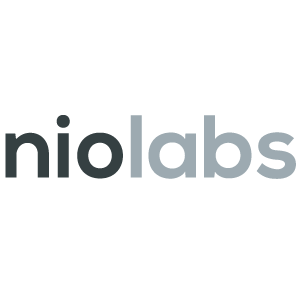 Google Cloud’s global infrastructure, toolsets, and market-leading machine learning capabilities together with niolabs’ distributed software platform provide a complete digital transformation solution from prototype to full-scale production. Whether it’s Peter Levine’s, “The End of Cloud Computing,” call to action or the largest technology company introducing its billion-dollar distributed strategy for IoT, the message is becoming louder every day; edge computing will be responsible for the bulk of IoT workloads within the most important industries and applications. While cloud computing serves a critical role for the enterprise, edge computing allows efficient real-time contextualization of mission-critical decisions at the data source. As the need for distributed edge computing becomes more apparent, the nio platform acts as the real-time nervous system from the chip to the cloud for digital enterprise solutions. Our team at niolabs is excited to combine our patented innovative technology in collaboration with Google Cloud to bring a robust, enterprise IoT solution to this rapidly growing market. In addition to Google Cloud, niolabs is actively evaluating partnerships with other industry leaders to further simplify the distribution and delivery of the nio platform. Any interested partners or customers are encouraged to visit niolabs.com or reach out directly to the niolabs team for more information. Based in Broomfield, CO, niolabs has been at the forefront of IoT and distributed computing. Their team has created the nio platform - a highly-scalable stream processing engine that allows users to asynchronously process streaming data signals and act on them in real time.